So many people deny all knowledge of this show, I guess not many people watched it, but I loved it. The main story was a quest through South America and it had a really good mix of history, adventure and science-fiction. 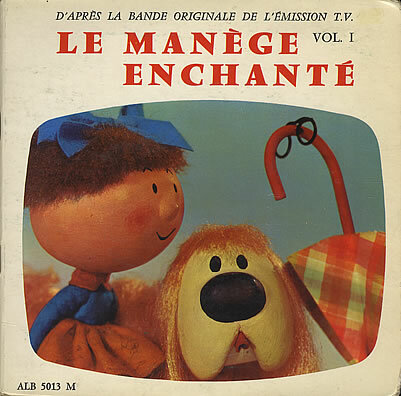 It was, apparently (I've been Googling) a Japanese-French production and the characters' mouths never moved in time with the dialogue track but it was really good, and had a fantastic theme tune. The original, not that abominable film they made a few years ago. I remember this being shown just before the news in the evenings. I really loved the characters and, when they were brought back and shown on The Big Breakfast in the 90s, they were a real craze for me and my friends. Another French cartoon, there seems to be a theme here. 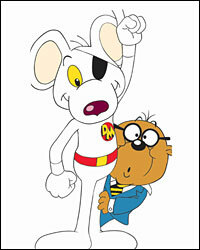 I'm sure lots of people have chosen Dangermouse as one of their 5. It was mouse and his rodent-y sidekick Penfold leading a James Bond-type existence saving the world from Baron Greenback, a rather large toad. David Jason was the brilliant voice of the show and really made it perfect. All together now... 'Don't you open that trap door! You're a fool if you dare...' This was a clay-mation series voiced by Willie Rushton. 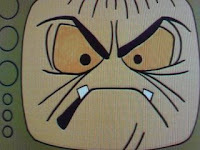 Each episode featured the central character, Berk, carrying out the instructions of the Thing Upstairs. Inevitably this would lead to the Trap Door being opened, a monster escaping, and chaos ensuing! It was brilliant. 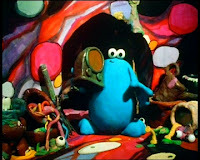 We bought the complete Trap Door on DVD a while ago and I can't wait to share it with Bud. He'll probably think it is old-fashioned nonsense though. 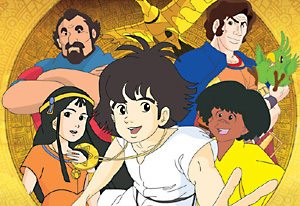 Which cartoons did you love when you were small?